Early this morning, I poured five or six ounces of kibble into a bowl for the outside cats. Around noon, I went out to turn over the compost pile and found the kibble bowl empty and a one cent coin from the Netherlands next to it. That coin was not there this morning. Perhaps our squirrel overlords have decided to pitch in. 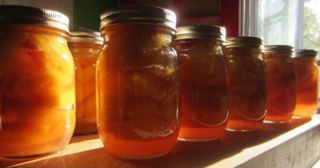 Yesterday, I blanched, peeled and pitted a case of yellow peaches and stored them in a citrus preserving liquid until I could jar today. I may do one more case of peaches and call it a day. Apple season is starting and I don’t want to miss raspberries. 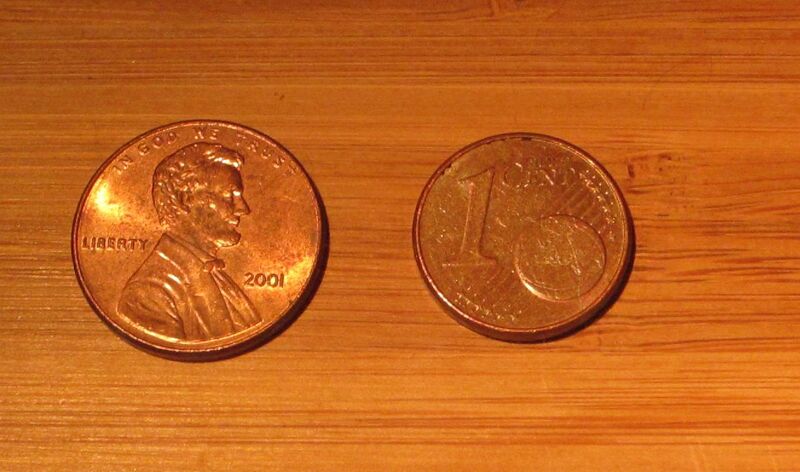 Obviously, the penny on the right came from the Netherlands. How it came to rest between my compost heap and back porch? Ya got me there. Tell your cats to stay clear of those Dutch cats. Their postmortem activities include getting made into helicopters. This is not a fitting end for Egyptian goddesses. They recently took the Lincoln Memorial off the back of the US penny. I don’t know when this happened or why. I liked the Lincoln Memorial on the back of the penny. What kind of country is this? One that doesn’t value its pennies. Personally, I love them.